The Puranas are a class of Hindu scriptures that cover a wide range of topics including history and mythology. Chief amongst these Puranas is the Devi Bhagavat, for it speaks of the nature and glory of the Highest, the Divine Mother. ​In this excerpt from the Devi Bhagavat, the Divine Mother Herself speaks to the Hindu Trimurthi, Lords Brahma, Vishnu and Rudra at the beginning of creation. This is a true gem. 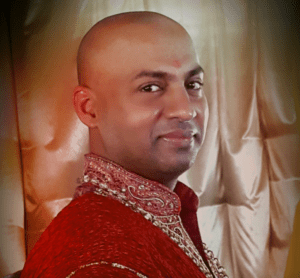 Narendra has written his awakening journey up in a compact book attached to this article. Here’s the first chapter of that book. For quite some time now I have been resolutely ignoring the almost constant call of Spirit to write this post. Not the least of which is because of the intensely personal nature of my awakening journey and the potential embarrassment I may incur as a result. My own way of stepping forward even further as per the repeated calls of the Company of Heaven (CoH) that we embrace authentic leadership. In addition to the third point above, the CoH has also called upon us to revalue ourselves, to claim our true spiritual currency. After all, this is what Ascension is all about. In my journey, I have had several opportunities to do so. Ascension is primarily about raising (ascending) our physical body frequencies so that we can match our multi-dimensional facets of our spiritual Selves. We are by nature multi-dimensional, and we do have many fragments of ourselves that we have left behind. Ascension is the process of recovering all of these- whilst physically embodied. What is also unique at this time is that it is being done on a planetary scale. The Earth Herself is also Ascending to the 5th through 7th Dimensions. Earth’s Ascension is a great and grand experiment that has never been done before in the entire universe. Hence the reason why a comprehensive Ascension ethnography is vital. Apparently, Earth is the template for a galactic-wide ascension and what we do will set the tone and pace for other third-dimensional civilisations to follow with their own planetary ascensions. How does planetary ascension take place? One individual at a time. In the past, individual sages managed their own personal ascensions which would result in leaving the physical body behind. This time however, the situation is different. There are many souls now incarnate upon the planet that came to assist with raising the Light quotient upon Earth sufficient to initiate the planetary Ascension. These souls come from many parts of the universe and are already ascended. Many are masters of ascension and have been specially trained for this mission. Thus, many very spiritually advanced souls are not yet ascended though they may have filled the criteria for their personal ascensions. They have opted to differ their personal ascensions to ascend en masse with the collective, or to hold the ascension portal open for the collective till the very end, and ascend last. This lesson was one of the first for me on my personal journey of awakening as I discovered that I too was one of these souls. As we continue to celebrate the joyous festivities in honour of the Divine Mother, the Navratri, I wish to look in this article at the notion of the Divine Mother as Everything. All that is manifest, all that exists, is the Divine Mother. Whatever can be perceived or experienced through the senses; whatever can be conceived in the mind, all of this is the Divine Mother. She is the active expression of pure undifferentiated Consciousness. The Divine Father is pure potential and stillness. The Divine Mother is movement and diverse manifestation. It is She who expresses the infinity of the Creator, for She is the Creator. She is the creative power in Brahma, the Creator. She is the power of preservation in Vishnu. She is the power of dissolution in Shiva. She is vaster than the multiverse, yet subtler than the ether. All forms of matter and energy are Her expression. Like Ramakrishna, and those who have experienced Samadhi, I too have been blessed with this vision of the Divine Mother as Everything. It is at once humbling as it is gratifying. When one sees the Mother in everything, one’s spirit soars in sublime ecstasy. It is an experience that beggars description. In Hinduism there are many allusions to this notion of the Divine Mother in everything. In Hinduism the cow is considered a sacred animal. There are many reasons for this, and all of them valid. But, it is merely a stepping stone to seeing all animals as sacred. Speaking of stones, in Hinduism the Shiva Lingam, and Vishnu Shalegram, are sacred stones. Yet again, these are but stepping stones to seeing all stones, rocks and minerals as sacred. Likewise, the mango and fig trees are sacred. The durva grass is sacred. All of these are stepping stones to seeing all trees, plants, and grasses as sacred. The Ganges, is a sacred river. So are all rivers, streams, ponds, and oceans. All are expressions of the Divine Mother. In this verse Sri Krishna is clearly referencing the Divine Nature in everything. The essential unity in diversity. All are expressions of the Divine Mother. She Herself has become Everything. All that is manifest is the Divine Mother. So too, the avatar of Sri Rama is also an expression of the Divine Mother in form. The Father is not manifest- only the Mother is. The Consciousness of Sri Rama is the Father, the expression and manifestation of that Consciousness is the Mother. So who is the Divine Mother? She is Everything. It is She who has become Everything. (1) Swami Nikhilananda, trans., The Gospel of Sri Ramakrishna. New York: Ramakrishna-Vivekananda Center, 1973, 346. Thus the ancient seers recommended worship of the Highest Principle and the Highest Cause during this time to assist humanity in navigating these changes. They recommended worship of the Divine Mother. The principle of the Divine Mother is found throughout the world in almost all cultures and religions. In Hinduism, she is the Goddess Durga, Kali, Lakshmi, Saraswati, and many others. In the Christian world she is the Mother Mary. For the Chinese she is Quan Yin. For the Greeks she is Athena, and Aphrodite, and many others. I can go on and on. Why the Divine Mother? The Divine Mother is the manifesting Principle of the Divine Father. The Divine Father is the pure, unitive, universal, Consciousness that is latent. It is the ground or foundation of Being. The Divine Mother is this same energy in action, movement, and manifestation. The Divine Mother and the Divine Father are ONE. There is no difference. 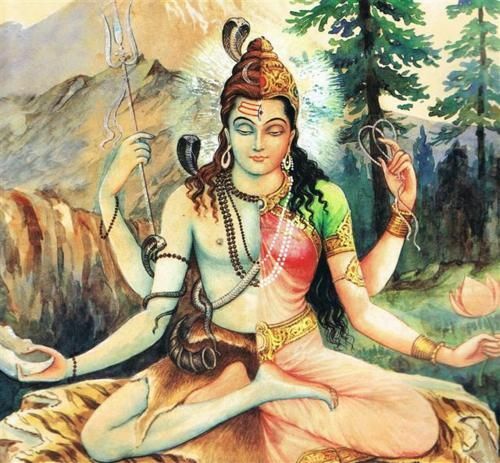 In Hindu iconography there is the half male, half female form of Shiva and Parvati which denotes the equality and identity of the Divine Mother and Father. That pure Consciousness is transcendental. It is the Father – the Brahman. That Consciousness in manifestation is the Shakti – the Divine Mother. This immanent world, the world of manifestation, comes out from Her like waves upon the infinite ocean of Consciousness. She is the mystic syllable- the AUM, the AMEN. She is the grand unified field of physics. She is the primordial energy that births stars, planets, and galaxies. She is the tenderness in a flower blossom, the fierceness of a raging waterfall. She is the wetness in water, the heat in fire. Where can Her glory end? She is the Divine Mother. She is EVERYTHING. (1) Swami Nikhilananda, trans. The Gospel of Sri Ramakrishna.Ramakrishna-Vivekananda Center, New York, 1973, 15. Steve: Narendra and I differ on our use of the term “Transcendental,” but the difference is in words, not realities. All opinions are welcome here. As spiritual writer and researcher Steve Beckow has noted, the terrestrial sages of the past did not have the vocabulary needed to explain in any detail the notion of the transcendent reality. We are fortunate in these times to have with us a scientific vocabulary to use to describe the transcendent reality. This comes from quantum physics in general, and string theory in particular. Here the term ‘unmanifested’ refers to the transcendent reality. By and large, the discussion in the past was limited to either manifested (immanent) or unmanifested (transcendent). The graphic above shows a popular representation of Brahma emerging out of the navel of Vishnu. This is symbolic of the manifest creation emerging out of the unmanifest transcendent. Now however, that has changed. We now have the concept of various dimensions of reality. Students of mathematics will be familiar with the three-dimensional concept of space for instance. String theory suggests that there may be more than just the three dimensions to space that we live in. In fact, there may be at least 10 dimensions. More than just the scientific facts and figures, living at a time of transition away from the dark age of the Kali Yuga, we now have access to extra-dimensional sources who can clarify and instruct us on this topic. As reported by Steve, one such source, Archangel Michael, states that we live in a 12-dimensional universe. 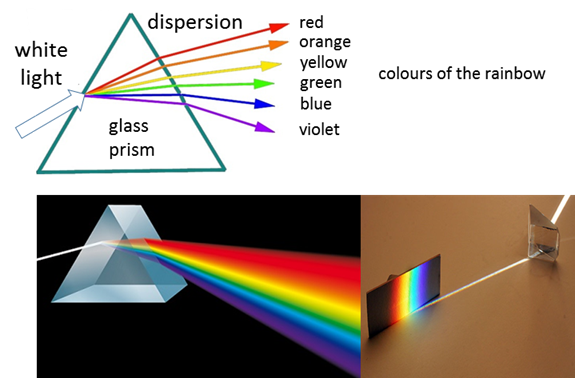 Each dimension has various sub-dimensions. ​Different sources give different numbers for these dimensions, but this inconsistency is easily resolved by the recognition that there are no hard and fast markers to the dimensions. Each flows into the other. Therefore, one source might merge the qualities and characteristics (or frequencies) of one dimension within another, whereas another source may see it fit to separate them. The important point to note is that there are more dimensions to the three that we live in. 36.8 ▶ Questioner: … does this higher self have a physical vehicle or some type of vehicle like our physical vehicle? Does it have a bodily complex? To truly appreciate Ra’s response we must bear in mind that we are in fact spiritual Beings having a human experience. We all have a Higher Self that is based in the sixth dimension. This Higher Self reaches back to assist us in the third dimension before itself moving on to the seventh. We can therefore infer from Ra’s response that the phrase ‘gather spiritual mass’ may also mean lose physical mass. Therefore physical manifestation may cease from the seventh or eight dimension. This is just my interpretation and I am subject to correction. Note that while there is a subtle difference between densities and dimensions as used by Ra, we use the terms interchangeably here. ​To conclude this discussion we can summarize the points that we’ve covered in this article. The transcendent reality is an unmanifested reality. It contains parallel universes, possibly in potential rather than manifestation. Our manifest reality emerges from the transcendent as one of these potential universes. Both the manifest and transcendent creation can be divided into different dimensions or densities according to frequency, or attributes. Following my last article on Intelligent Extra Terrestrials (iET), I was asked by Jennifer if the Hindu Deity Vishnu was a Blue Avian- a type of highly advanced iET that is currently assisting with the Earth’s Ascension. I post my reply below, along with further explanation. ​Whereas the Creator God, Bramha is the creator of the transcendent and immanent aspects of this universe, and is manifested physically as the Black (W)Hole in the centre of the galaxy, Vishnu is the holder of the entire spectrum of probabilities- all timelines and parallel universes. He is completely transcendent. He does often take a physical form upon the creation where he exhibits His supernatural powers, and he is very often depicted as being Bluish/Indigo in complexion. However, I do not think he is a Blue Avian. Rather, his vehicle, Garuda, is depicted as being a Humanoid with eagle-like features and is often depicted as also being blue. Garuda is a personage in his own right and often gets up to things on his own. He is also used very often by Vishnu as His intermediary. So it is very likely that the Blue Avians (either as individuals, or as the entire race) are Vishnu’s emissaries. To elaborate further on these concepts, let me first begin by stating categorically that Hindus believe in ONE Supreme Being. The nature of this Being is pure Consciousness, or Chitta. This Supreme Being wishing to experience itself then caused the multi-dimensional creation to appear from within Himself/Herself. Yet, each aspect of creation, down to every sub-atomic particle, contains the original Divine Consciousness of the ONE Supreme Being. Scientific researcher Micheal Talbot points to this very concept in his groundbreaking work, The Holographic Universe. ​Hindus, along with many other ancient traditions, recognise this truth and have named the essence of the ONE as it appears in its diverse forms. Hence, Agni is the name given for the Consciousness present in fire, Varun in water, Vayu in air, and so on. Yet, the ancient Indian sages did not stop there. They recognised that the entire Milky Way galaxy was created by an aspect of the ONE Supreme Creator. They called this Consciousness of the Milky Way galaxy Bramha, and acknowledged that there were many different Bramhas throughout all of creation- one for each galaxy. ​In essence, the Creator’s role is to bring that Consciousness into physical matter and manifestation. However, there are many different possibilities that can exist when bringing energy into matter. The results of many experiments in quantum physics point to a multitude of variables affecting the result. Thus, the Indian sages point to yet another ‘higher’ aspect of the ONE Supreme Creator that holds all of the possibilities in pure potential. Other schools of thought such as proposed by Physicist John Wheeler consider these potentials to be manifest in/as parallel universes. The essence of this aspect of the ONE Supreme Being that holds these possibilities is called Vishnu. For more information on these concepts please see my articles on The Science of Consciousness and The Chakras. From the foregoing discussion then, we can see quite clearly that the Hindu Deities are not in fact iET. The Hindu Deities are qualifying names for the different aspects of the ONE Supreme Being who has brought all of creation into manifestation. ​iET are also aspects of this creation, and they are also imbued with the essence or Consciousness of the ONE. They may be much advanced as compared to Earth’s humanity, yet they are not Gods themselves. A couple of days ago, for the second time in my life, I came face to face with the notion that Spirit knows me, intimately. I have no doubt that Spirit knows each and every one of us. Yet it still came as a pleasant surprise when it happened as blatant as it did. A client came to see me on a referral from a dear friend, Lynda. It was her birthday and she had a very strong urge to get a reading done. She had never had one before. When we met for the first time, we embraced as if we were old friends. There was an instant connection. This, I’m sure, many of you would have experienced at some time in your life. No real surprise there. The surprise came when we started talking in our introductory remarks to each other. Apparently, in June of last year she was awakened from a very vivid dream where an African man was introducing her to an Indian man. She awoke just when the Indian man took her hand and led her to a building. When she saw my picture on this blog she remembered the dream. The Indian man was me. Well, needless to say, I was flattered. I felt honoured to be known by Spirit. Of course, on one level I knew already that we’re all known to Spirit. But to actually experience it as dramatically as this was quite another thing. Prior to this, the first case happened two, maybe three years ago. A client came to see me. She was a short, rather stout African woman in her fifties, who walked with an assurance that came from working as a security guard for many years. “I want to know what this old Indian man wants with me,” she said, looking me straight in the eye. My thought was that this was probably some kind of love affair. Boy, was I wrong. As she spoke she became very fidgety and uncomfortable. Her voice started breaking and it seemed she was fighting something. Thankfully, I was already a reader of the Golden Age of Gaia and other awakening websites, so I knew channeling when I saw it. I was quite intrigued though. This was the first I was witnessing it. This was a live manifestation of Spirit. I asked her to allow him to come through – the old Indian man whom she referred to. When he did, her transformation was dramatic. Her voice changed to that of an old man, speaking in broken English dialect. Her demeanor changed; her very personality became reminiscent of that of an old man. I was so fascinated that I forgot to challenge him to ascertain if he was of the Light. But I had an opportunity a couple of weeks later when he came though her daughter. He was of the Light. After telling me quite a number of very, very personal details about myself, he said he had directed her to me. Apparently she needed guidance and I was chosen by Spirit to guide her. That experience had me on a high for a few days. I was at once elated and humbled that Spirit knew me.